Get Quality Residential & Commercial Plumbing, Heating and Air Conditioning Services! Wanted to thank you for repairing the, unexpected to both of us, the incorrectly installed vent for the hot water heater. Your reputation to stand behind your work is well deserved. Thank Steve (the tech) again for me, the work was well done! Had two furnaces installed in our very large house several years ago. We chose KLEBS after soliciting several bids. They seemed to be the most knowledgeable and professional. They did a very good job, and there were absolutely no hitches in the process. Though it was a complicated procedure (had to switch from three furnaces to two). If you want competent, experienced technicians, call KLEBS. I called you yesterday and you were here bright and early today. (8:30AM). 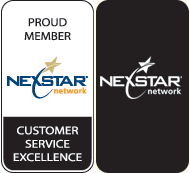 Your guys did a great job and were very friendly and knowledgeable. Price was very fair also. Thank you so much for doing such good work. Just wanted to say Thank You for always a great job done by who ever is assigned. We have used KLEBS for years and always are happy. I am happy for KLEBS service. The technician was dispatched to my home at the scheduled time. He completed the work as well as helping with warranty paperwork. Thank you to KLEBS for a job well done. Plumbing, heating and air conditioning services throughout Anchorage and the Mat-Su Valley. When it comes to finding a reliable plumbing, heating, and air conditioning company for all your commercial and residential needs, quality of work and experience is important. KLEBS Mechanical has proudly provided residents and businesses throughout Anchorage and the Mat-Su Valley with plumbing, heating, and air conditioning repair. KLEBS also has been providing installation and maintenance services for the last 30 years. KLEBS Mechanical is the largest full-service plumbing and mechanical services contractor in Anchorage and the Mat-Su Valley. With an emphasis on customer satisfaction, each project we do is efficient and effective. From fixing a commercial plumbing system to ensuring your heating system is prepared for the brutal winter months ahead, KLEBS Mechanical is your all in one provider. Ensuring that your residential heating or commercial air conditioning is functioning properly all year long is crucial to avoiding unexpected system malfunctions. KLEBS Mechanical provides residential and commercial heating and air conditioning systems throughout Anchorage and the Mat-Su Valley. KLEBS Mechanical recognizes the value of a well-functioning heating system for your home or business, necessary for surviving subzero temperatures in the winter months. Residential and commercial indoor air quality is equally as important to maintaining a comfortable temperature no matter the season. Call KLEBS Mechanical today to speak to one of our heating or air conditioning contractors about how to prepare for all types of weather conditions. Whether we’re working with an entire commercial plumbing system or providing residential plumbing services for an unexpected leak – KLEBS Mechanical has you covered. Our plumbers have years of experience in the Anchorage and Mat-Su Valley areas, with expertise equipped to handle pipe temperatures that may be off throughout the winter months. KLEBS Mechanical specializes in quality plumbing services that won’t require maintenance in the short term. Thanks to a reliable process and knowledgeable plumbing experts, KLEBS Mechanical brings customers the residential plumbing and commercial plumbing services you deserve. Call KLEBS Mechanical today to talk to one of our certified, experienced plumbers regarding your plumbing needs! 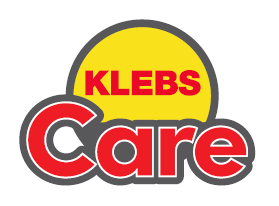 KLEBS Care is our newest program, designed to offer our valued customers special offers, savings, priority services and much more! With an emphasis on customer satisfaction, KLEBS Care provides safety, savings and a piece of mind throughout the Anchorage and Mat-Su Valley areas. Click the button below to learn more about our KLEBS Care program. © 2019 KLEBS Mechanical, all rights reserved.